Posted at: 4/07/2012 08:47:00 AM . No matter what you are doing this weekend, I hope you have a good time. 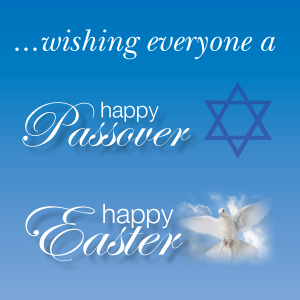 Have a great Seder or a wonderful egg hunt.